HERE’S one we made earlier — a snap of five Blue Peter presenters, who are reuniting on stage for the first time this summer. 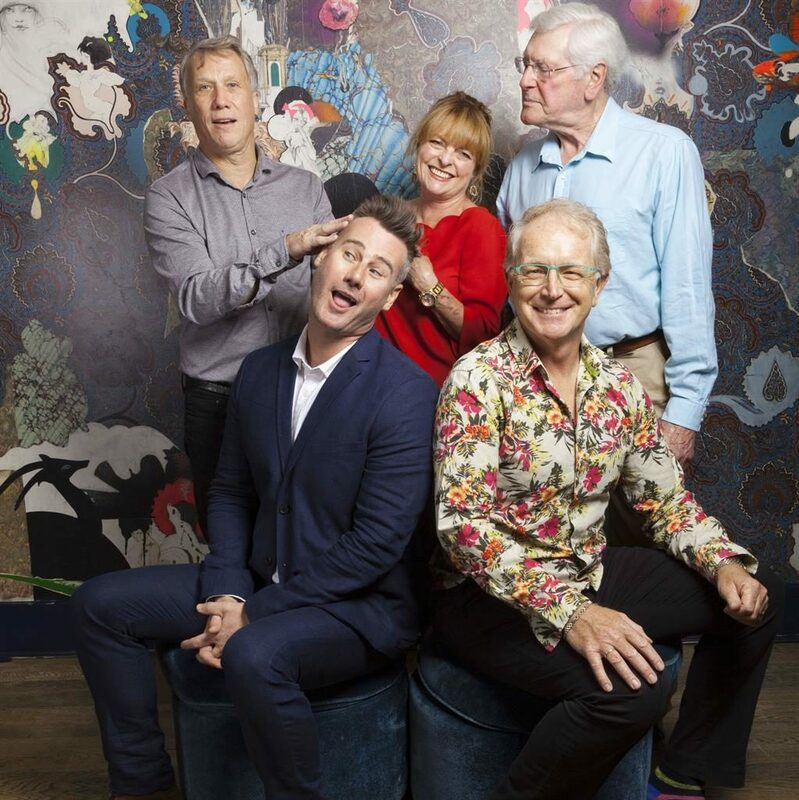 The ex-hosts of the iconic kids’ show — clockwise from top left: Peter Duncan, Janet Ellis, Peter Purves, Mark Curry and Tim Vincent — will be joined by Valerie Singleton in a play celebrating 60 years of the BBC favourite, which is set to run at the Edinburgh Fringe festival. And all six appeared to be having a high old time at the photoshoot to promote their new venture, titled Once Seen On Blue Peter — so much fun, in fact, that two even shared a kiss. Such was the air of high spirits that Duncan planted a kiss on Curry’s cheek in one of the snaps. Blue Peter turns 60 in October, having launched in 1958, and to celebrate, Vincent has teamed up with Olivier Award-winning Tim Whitnall — who wrote a one-man play about comedian Eric Morecambe — to produce the ‘hilarious’ new show. Explaining the premise, Tim said: ‘Once Seen On Blue Peter takes place backstage at a fictional 2018 TV awards ceremony, where an elite group of the 37 Blue Peter presenters from over the decades have been summoned to jointly collect a lifetime achievement award.